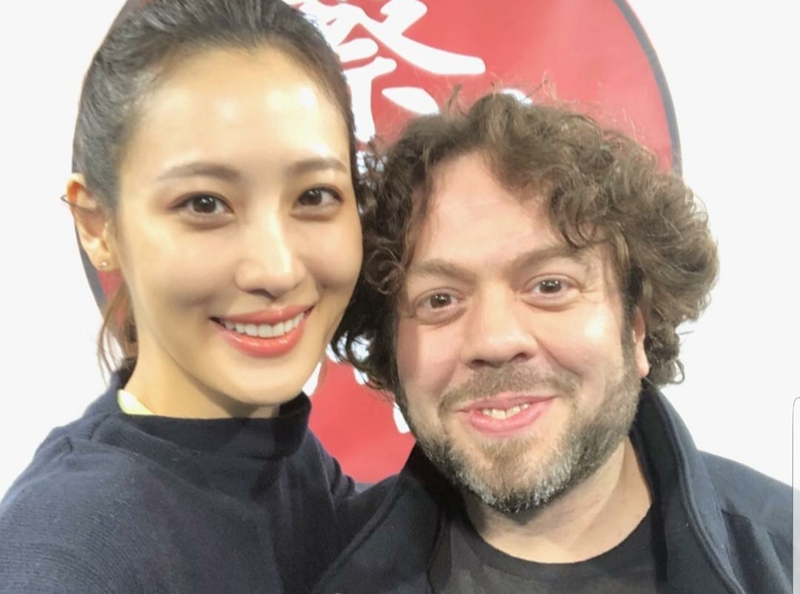 Weekly Round-Up: Oscars Updates, Claudia Kim on Dan Fogler’s 4DXperience & More! After months of speculation, the announcement we’ve been anxiously awaiting finally came from Universal Orlando this week! The Florida home of the Wizarding World of Harry Potter revealed the official name of their new “highly-themed” thrill ride, Hagrid’s Magical Creatures Motorbike Adventure, scheduled to open this June. In other Harry Potter news, Prisoner of Azkaban director Alfonso Cuaron prepares for the Oscars, Hamleys in London gets a magical makeover and you may be able to don your own Invisibility Cloak next Halloween! This week in our Harry Potter and Fantastic Beasts Round-Up Gary Oldman presents at the Oscars while Alexandre Desplat will miss the ceremony, Evanna Lynch seeks funding for an upcoming film project near to her heart, Claudia Kim visits Dan Fogler’s 4DXperience podcast, David Tennant and the Good Omens cast and creative to descend on SXSW and more! 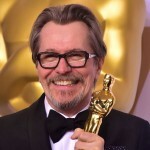 The climax of awards season, the annual Oscars ceremony, is upon us, and last year’s Best Actor, Gary Oldman will indeed present one of the main awards during the broadcast. The Academy had announced earlier this month they were bucking tradition and having higher profile names present the more prominent awards, but they’ve since reversed that decision, with a twist. Oldman, who’s known to Potter fans as Harry’s beloved godfather Sirius Black, will co-present the award for Best Actor with Allison Janney, last year’s Best Supporting Actress winner, according to Deadline. Oldman swept the Best Actor award category last year with his transformative portrayal of Winston Churchill in Darkest Hour. 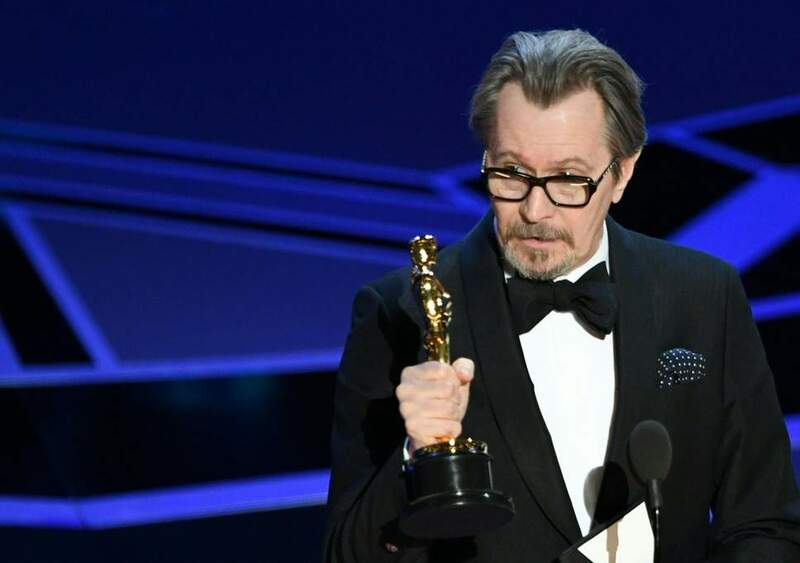 Watch for Gary Oldman’s appearance at the 91st annual Oscars ceremony Sunday, February 24 at 8p ET on ABC. 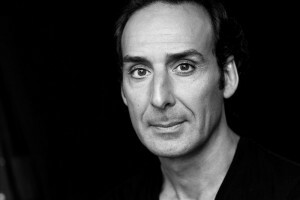 Alexandre Desplat, composer of the scores for both Deathly Hallows films, is one of the 2019 Oscar Best Score nominees for his work on the animated fantasy Isle of Dogs. Unfortunately Desplat, who has recently undergone throat surgery, will miss this year’s ceremony. Interestingly according to Variety, Desplat began experiencing trouble with his voice while writing an opera called “Silence,” based on a short story by Japanese author Yasunari Kawabata, about a writer who can no longer speak. Hmm-this could be a short story unto itself. Best wishes to Alexandre Desplat in his recovery and good luck on Sunday night! Kim: “I feel so blessed to be playing a character like that. I loved every moment on that movie because of that connection with Credence”. You can catch Episode 1 of the fourth season of Dan Fogler’s 4DXperience podcast on iTunes! The annual film, music, and interactive media convention South By Southwest in Austin, Texas will welcome the anxiously awaited Amazon series Good Omens starring David Tennant, Harry Potter’s Barty Crouch, Jr. Previews, themed-interactive activities and panels with the show’s cast and creative will take place the first three days of the eleven day festival. 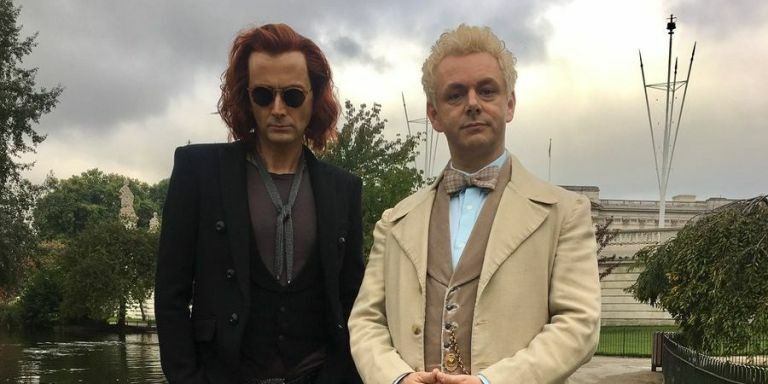 A witty, epic tale set at the brink of the Apocalypse, Good Omens tells the adventurous story of a fussy angel, Aziraphale (Sheen), and a loose-living demon, Crowley (Tennant) – a pair of frenemies who’ve become overly fond of their lives on Earth and have formed an unlikely alliance to stop the world from ending. Also appearing in the series is Potter alum Miranda Richardson, who played Rita Skeeter, as Madame Tracy, a psychic who helps the pair save the world from Armageddon. The six-part series is set to premiere May 31 on Amazon Prime and Good Omens Garden of Earthly Delights takes place at SXSW March 8-11. 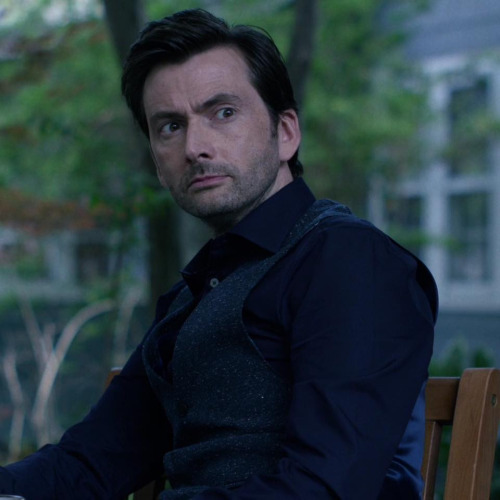 For fans of the Netflix Jessica Jones, this week was particularly bittersweet. The streaming network announced that the upcoming third season of the Marvel superhero detective drama would be its last but according to the RadioTimes, showrunner Melissa Rosenberg hinted on social media that Tennant may make an appearance as that villain for the ages, Jones nemesis Kilgrave. Season 3 of Jessica Jones will air on Netflix sometime in 2019. 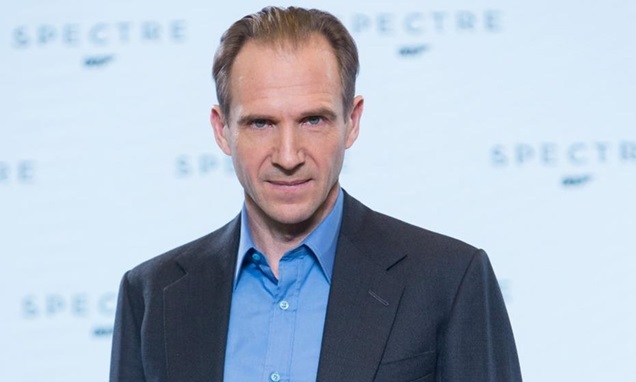 Ralph Fiennes, the actor behind the snakelike face worn by He Who Must Not Be Named in the Harry Potter films will receive the Volta Award for his lifetime contribution to the film industry at the upcoming Dublin International Film Festival. His award will be presented the evening of March 1 following the Irish premiere of his most recent acting and directorial effort, The White Crow, the story of ballet dancer Rudolf Nureyev’s career and defection from the Soviet Union. 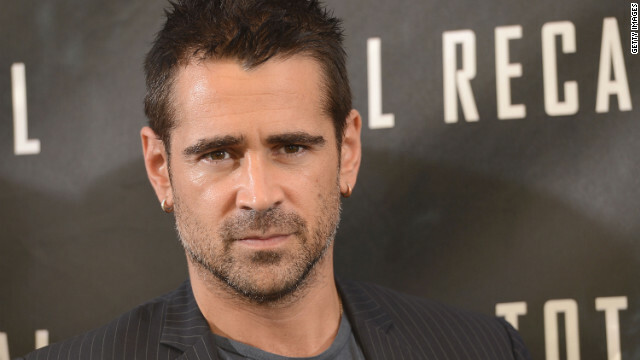 What do you think the chances are of Percival Graves showing up again in Fantastic Beasts? No telling at this point but Farrell fans can look forward to seeing him on TV when the North Water begins production this fall. No word yet on an air date for P-Valley.